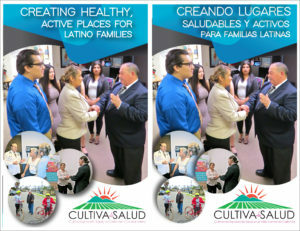 In collaboration with other organizations/partners, Cultiva La Salud produces resources to help assist audiences who are interested in the development of innovations related to improving access to healthy food and beverages and improving opportunities for physical activity. 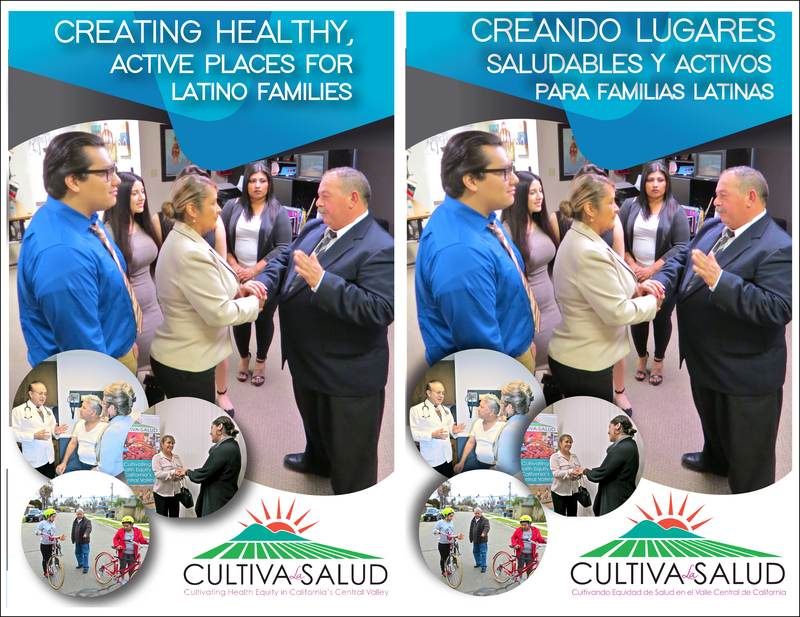 This fotonovela describes challenges that many Latino families face in being able to lead healthy lives in the Central Valley. The story takes a closer look at one family’s environment and the struggles they face in being physically active. The family faces a crisis when the grandfather suffers complications from his diabetes. The family learns more about how they can support him in making healthy changes and create a larger impact for their community by improving opportunities for physical activity. The fotonovela is available for distribution at our office. Please contact Brandie Banks-Bey to request copies for distribution at 559.498.0870 x102 or at Brandie@CultivaLaSalud.org.